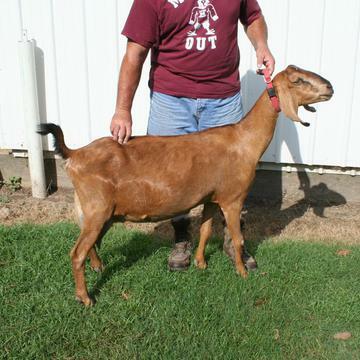 Sweet Matilda - a grade Nubian doe is truly a blessing to this field. Easy to milk and evenly tempered, she jumps on the milk stand and can be milked without any restraints. She's so eager to please. 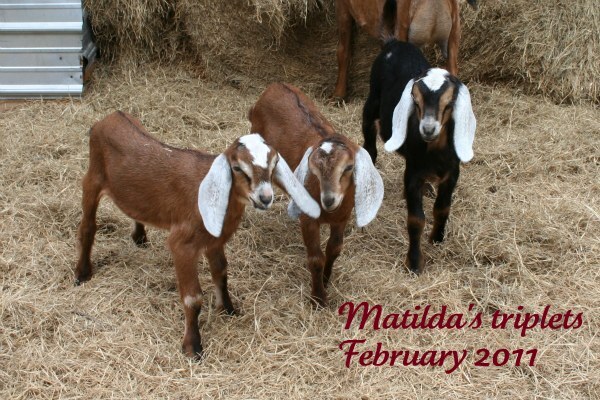 Matilday milked for two years straight before her kidding in 2017. She's a powerhouse! 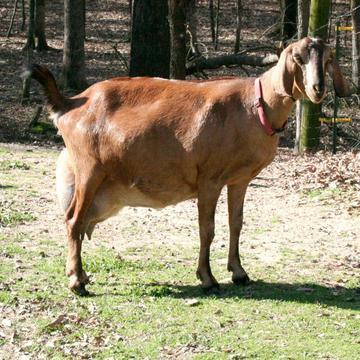 Her doelings can be registered as American Nubians. Naomi, who has crossed the Rainbow Bridge was one of my favorite does. She was beautiful in every way - great composition, great udder and so very easy to milk. She's passed these wonderful attributes to her daughter, Matilda. Magestic Ryder was tall, had wonderful composition and threw a beautiful doe with Matilda. He was sold and we acquired his full brother, Lynch's Country Till I Die who was taller and broader.